VIEW! VIEW! VIEW! 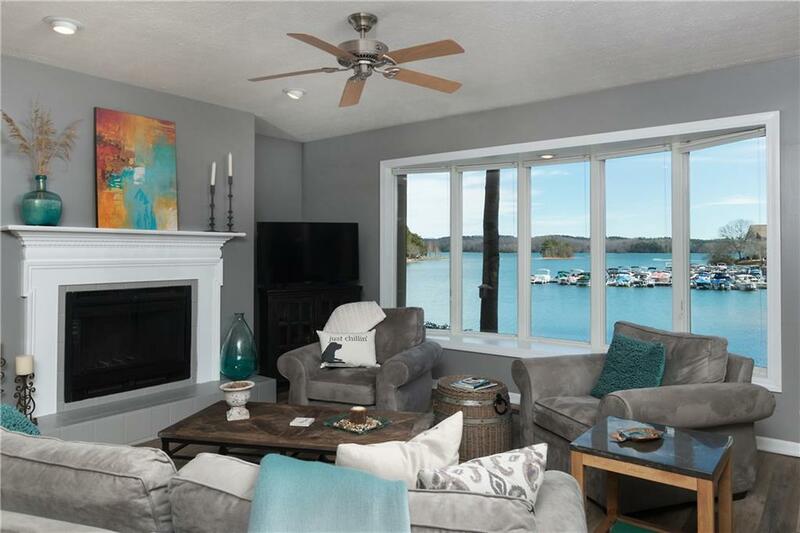 Taking center stage--beautiful Lake Keowee, the Keowee Key North Marina and walking trail. 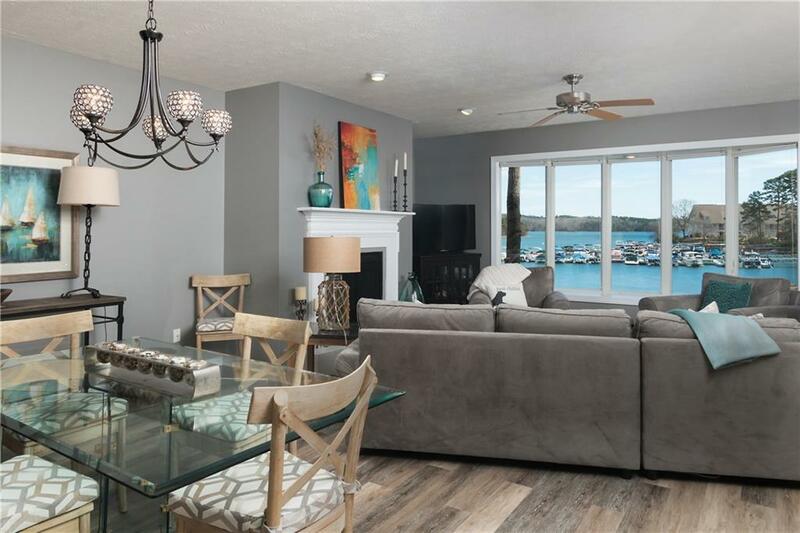 You will be WOWed by the all-season/all year lake view that is framed in this condo's bay windows and covered patio. Easy in and out--this first floor unit is conveniently located close to parking, the pool, marina and walking trail. Updated and ready to move in with new easy-care luxury vinyl flooring, updated kitchen cabinets and stainless appliances. 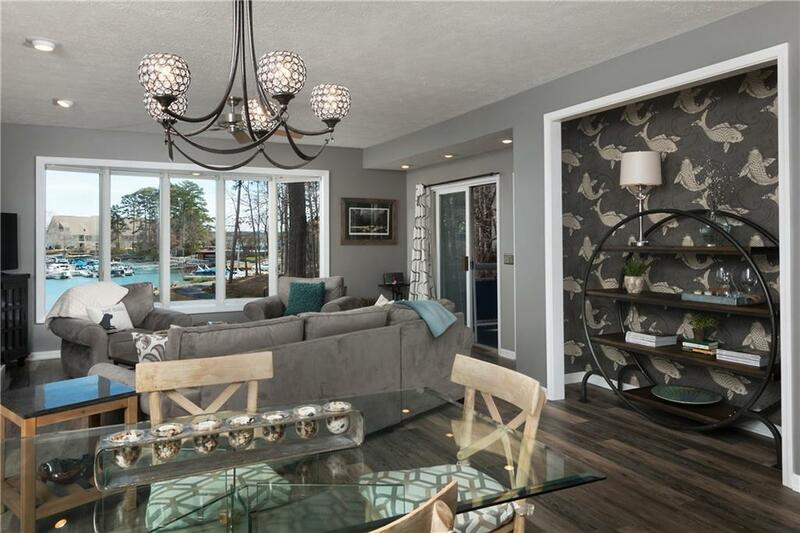 The spacious living/dining space makes for easy entertaining, or just enjoying a quiet morning by the wood burning fire place. Need to relax? Take a book and a glass of wine and head out on to the covered patio. Continue enjoying the lake views from the master suite with full bath and large walk-in closet. A second bedroom with available bath allows for private space for guests. Owner has PAID IN FULL Tall Ship Special Assessment making this condo an exceptional value. 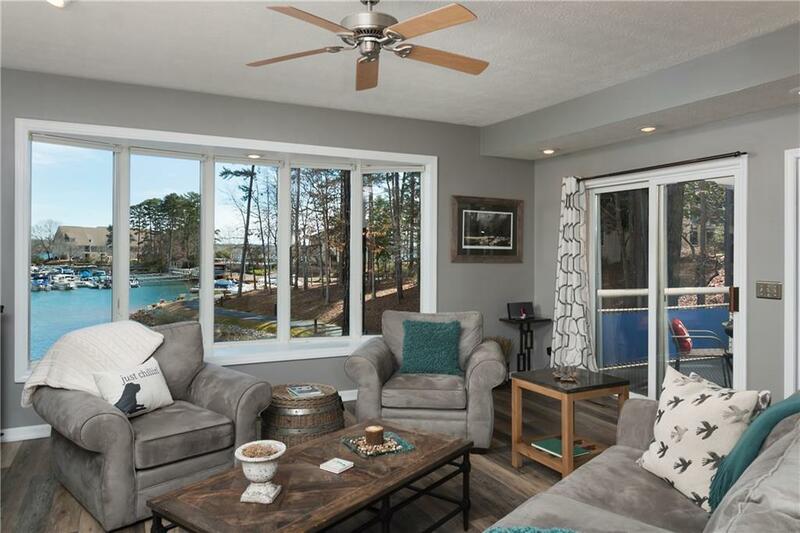 The perfect vacation get away, come enjoy low-maintenance living in the community of Keowee Key, conveniently located just a few minutes to the Keowee Key Club, Championship Golf Course, walking trail and North Marina. Listing provided courtesy of Becky Rutkiewic of Allen Tate - Keowee Key.